‘Hillary, Eleanor Roosevelt would love you.” Thus, in 2000, did retiring New York senator Daniel Patrick Moynihan introduce Hillary Clinton as the candidate anointed to be his successor. While many first ladies exert influence behind the scenes, Eleanor Roosevelt and Hillary Clinton had high public profiles, speaking and writing extensively on the issues of the day, making allies and enemies. One question raised repeatedly during the 1930s was whether Franklin and Eleanor Roosevelt shared the same philosophy of government or held significantly different worldviews. Sixty years later, political observers were asking whether there were fundamental differences between Hillary’s approach to governance and her husband’s. Since no other first lady has pursued a political career after leaving the White House, much less secured a nomination that would let her return there by winning a presidential election of her own, the question is even more compelling today. So, is Clintonism one body of thought, or two? The Clintons’ rhetorical oeuvre makes clear that the best answer is zero. Again and again, for a quarter century, their every attempt to connect and rationalize individual policy proposals culminates in sour nothings, windy declarations as solemn as they are vacuous. It’s quite impossible to disagree with this credo, which is both its appeal and its fatal flaw. The hard questions, the moral and practical ones that matter, are about how to do good, not whether. The pious tautology that it’s good to do good but bad to do bad tells us nothing about choosing between goods when there are trade-offs or conflicts, weighing costs against benefits, comparing short-term attainments with long-term risks, or reckoning second-order effects. It’s useless, in other words, for grappling with every problem that makes our moral and political lives so hard. Barack Obama presents a more complicated case, since it is so evident that he both feels a greater need than ordinary politicians — even ordinary presidents — to explain himself and has absolute confidence in his ability to do so. Indeed, the failure of his high-flown efforts in the direction of political philosophy explains why Democrats less audacious and hopeful than he think the prudent course is to throw clichés at the problem. The -ism of progressivism is the belief that movement toward a better future is a goal, a right, and the highest imperative. “Progress,” in its most direct, literal sense, simply means getting closer to some objective, one both comprehensible and manifestly superior to the current state of affairs. The early progressives believed that ascertaining and mastering the processes that shaped society and history would move mankind to a better future, just as understanding the natural laws of the physical universe had improved the human condition through steam engines, telegraphs, anesthetics, and other modern marvels. Liberalism, however, came to regard its faith in progress as untenable. The rejection was, in part, a reaction to historical developments. Complying with the wishes of those in authority lost much of its appeal when the authorities turned out to be men such as Robert McNamara and McGeorge Bundy, smart fools who provided detailed charts and graphs to justify each augmentation of America’s catastrophic misadventure in Vietnam. At home, liberals came to detest the progressivism of Robert Moses and other power brokers, experts whose idea of urban renewal was to bulldoze any city block that had the temerity to evince charm or social cohesion in ways not part of a government agency’s master plan. More fundamentally, the liberal rejection of progress has been theoretical. “Relativism rounded on liberalism,” Kesler writes, which created the “crisis” of his book’s subtitle: Liberalism no longer believes in itself. According to historian Andrew Hartman, William James’s famous assertion in Pragmatism (1907) — “‘The true’ . . . is only the expedient in the way of our thinking, just as ‘the right’ is only the expedient in the way of our behaving” — has come to provide the “air that historians breathe.” The academic Left’s success in imparting that lesson to generations of college students has made “anti-foundationalism,” as they say in the faculty lounge, the air that liberalism breathes. Progress no longer means getting closer to any particular goal, because progressives now insist that our understanding of what it means to progress, to get better, will constantly change, in defiant rejection of any tyrannical consistency. Who are we to lock future generations, or even our own generation, into a single, unalterable course? Though conservatives find liberal sanctimony insufferable, complaining about it is beside the point. Self-righteousness is the only kind of righteousness liberalism now affords to dedicated idealists pursuing their own “absolute” truths. Values such as social justice, doing all the good you can, or enthusing over that distinct category of government programs meant to help people “represent the consensus position among the most enlightened thinkers,” in the words of political scientist James Ceaser. “If enough of these thinkers tell themselves and those who follow them that something is ‘true,’ then it must be so.” If the sole validation of a political opinion is the character of the people who endorse it, the notion that respectable, reasonable people might oppose the liberal project creates intolerable cognitive dissonance. The only resolution is to hold the truth to be self-evident that liberalism’s antagonists are all bigoted, greedy, callous, and fanatical. Thus, liberals’ eagerness to ascribe conservatism to conservatives’ moral and mental defects is more functional than scornful. The Clintons’ long effort to convey the key attributes of that moral decency is, as noted, a work in progress that has never made any progress. The junkyard of bellowed, didactic banalities that constitute Mrs. Clinton’s inventory of pronouncements is not, however, simply a random assortment. Two recurring themes suggest how she understands the larger purpose of her political career. The second theme amounts to a sprawling elaboration of the feminist axiom that the personal is political. Its original meaning was that catcalls from construction workers, or the awarding of a coveted promotion to an inferior male co-worker, were not just affronts but consequences flowing directly from the power structures that feminists had to discern and dismantle. The underlying idea was that men and women were so fundamentally similar that the detail of being one or the other should, in a just world, have a negligible impact on how any individual’s life unfolds. As an undergraduate at Wellesley in the late 1960s, and then a law student at Yale, Hillary Rodham was certainly well acquainted with this viewpoint. It’s hard to believe she didn’t share it, at least in part. In her maturity, however, Mrs. Clinton has drawn heavily on the older, supposedly discredited idea that women are innately, distinctively preoccupied with family cohesion and, above all, children’s well-being. On that basis she has asserted, over and over, that the personal is political and the political is personal. To care for a child now requires acute, often alarmed, cognizance of the endless list of social and economic conditions that can help or hinder children’s development. Citizenship, whether it consists of volunteering for some community-improvement project or voting for candidates dedicated to helping children, is an extension of responsible parenthood. To govern a modern nation, by the same token, requires fully grasping the array of trends and problems besetting families. Public officials must, accordingly, subordinate all other policy concerns to fashioning government responses that meet and master those challenges. As a result, leadership is a kind of parenthood writ large. Mrs. Clinton has largely stuck with this option, building not just a personality but a philosophy upon it, the most ambitious statement being her book It Takes a Village (1996). The smaller problem with this choice is that decades of trying to act the part have not diminished Clinton’s excruciating inauthenticity. As Flanagan wrote, “there’s nothing more uncomfortable than witnessing someone straining to be natural.” The more serious difficulty is that Clinton’s approach sentimentalizes the crisis of liberalism while doing nothing to solve it. A passionate concern with how people are continues to contradict the detached refusal to be judgmental about what they do. A century ago, most Americans lived in small towns — actual villages. The sensibility that formed progressivism was appalled, not impressed. As the novelist E. L. Doctorow once wrote, small-town life was “responsible for one of the raging themes of American literature, the soul-murdering complacency of our provinces.” Gopher Prairie, for example, the fictional Minnesota town deplored in Sinclair Lewis’s Main Street, is relentlessly judgmental, always ready to condemn any departure from the consensus view about right and wrong ways to raise a child and conduct a life. Twenty years ago, as half of one of the most scrutinized, most mysterious marriages in American political history, Hillary Clinton could do no more than stand by her man and endorse a president she said was necessary to raising happy, healthy, hopeful children. Now she is on the verge of being such a president herself, not only the first female commander-in-chief but, by her own account, the first social worker–in–chief of any description. If elected, she will have more power than ever before to help people solve their problems and live their dreams. As the late political scientist Jean Bethke Elshtain noted, however, Clinton’s amorphous village, indispensable to raising children despite being everywhere yet nowhere, consists of “organizations and initiatives and policies and experts fanning out across the countryside to ‘help’ people in various ways, whether the people in question have asked for it or not.” Elshtain saw Clinton’s blithe self-assurance, dangerous to her political cause and to the objects of her solicitude, in the fact that It Takes a Village invariably shows the people who have received help responding with “gratitude and appreciation, never irritation or perplexity or ‘mind your own business.’” The busybodies of yesteryear’s small villages were censorious. But because the credentialed ones in the new global village are therapeutic, the possibility that they will be similarly overbearing or resented seems never to occur to Clinton. In 2008, Hillary Clinton encouraged the idea that she was running for Bill Clinton’s third term. In 2016, she has done more to suggest she is running for Barack Obama’s. If elected, however, the result is likely to confirm Daniel Patrick Moynihan’s suggestion: Her apotheosis will be to serve President Eleanor Roosevelt’s first term. Unlike 1942, 2016 offers no global crisis giving rise to the idea of drafting every American and telling each what to do. Rather, Clinton’s success will turn on whether Americans, when assured it is for the abiding need to pursue their dreams and raise their children, are amenable or resistant to complying with the government’s wishes and doing the things those in authority think should be done. – Mr. Voegeli, a senior editor of the Claremont Review of Books, is a visiting scholar at Claremont McKenna College’s Salvatori Center and the author, most recently, of The Pity Party. 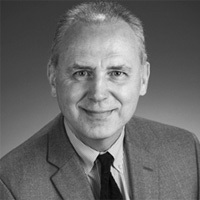 William Voegeli — Mr. Voegeli is a senior editor of the Claremont Review of Books and a contributor to the American Project at the Pepperdine School of Public Policy.